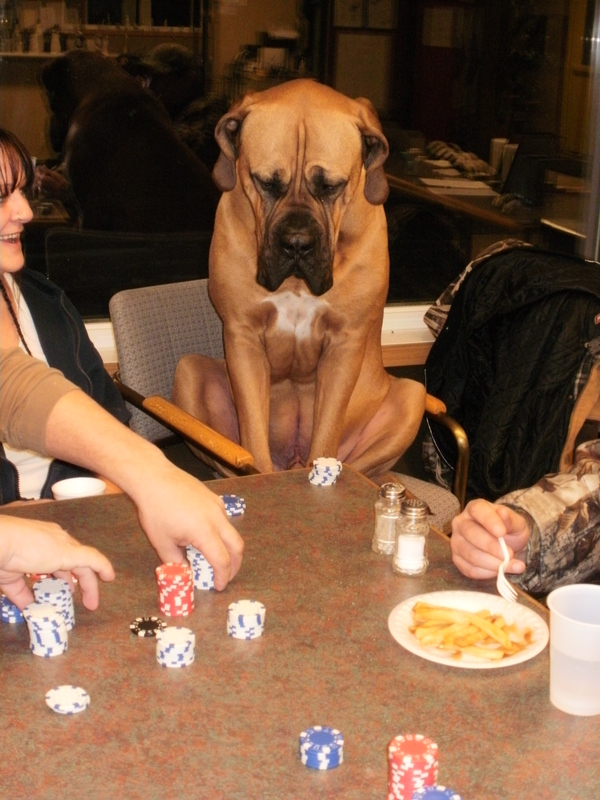 I would like to introduce you to one of our diehard poker players. He has been to every poker night so far. He is a tough player to come up against since it is hard to read his poker face. If you have been out to the campground, you may already know Diego as one of our seasonal campers. He is well known around the campground since he is so big once you meet him you tend to remember. Some people are a little nervous when they first meet him but they quickly realize how gentle he is. It looks like we have our second casualty of the poker derby season. The Northern Lites Derby was scheduled for this weekend but although I haven’t seen official confirmation yet I think it is a safe assumption that the derby will be rescheduled. After checking the long term forecast I am planning our derby on the assumption that the snowmobile trails will not be open and we will just be running with cars. I have 4 geocaches planned as checkpoints for the derby and have another 3 places in mind for bonus caches.